Chevy Bolt clone being readied to deliver Level 4 autonomy but only when legislation allows. Andrew Tolve reports. Ready or not, the world is about to get a mass-produced self-driving car. Cruise Automation and its parent company General Motors have locked in a design that they say they’re prepared to build hundreds of thousands of each year. It’s a dead-ringer for the newest version of the Bolt EV but comes with a third-generation Cruise self-driving platform, along with a suite of sensors that make it capable of Level 4 autonomous driving. Fifty of the cars have already been manufactured at GM’s plant in Orion, Michigan. There’s a few caveats here. 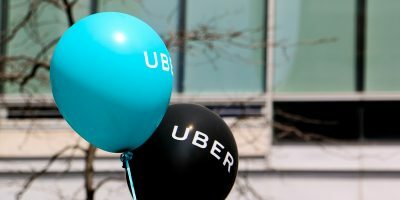 The first is that while the vehicle may be capable of full autonomy it won’t actually be driving public roads en masse without drivers behind the wheel until Cruise and GM deploy the proper software updates and the government gives it the proper regulatory approval – both of which could take years. Also, these vehicles won’t be destined for dealership forecourts; they’ll be integrated into the Cruise Anywhere ride-hailing platform that is currently being piloted with Cruise employees in San Francisco. Cruise says that it plans to begin piloting the platform with the general public soon and has designs on taking it national thereafter. Lastly, despite Cruise’s claims that this will be the first mass-produced self-driving car on the market, Elon Musk would like to remind you that the Tesla Model 3, in production at the moment, is expected to enter mass production by the end of 2017, is equally decked out with all the sensors and software needed for full autonomy. In other news, Samsung announced at the Frankfurt Auto Show that it wants in on the race for self-driving cars and it has set aside $300M (£220M) to turbocharge its efforts. The Samsung Automotive Innovation Fund will invest in game-changing technologies for connected cars and autonomous vehicles. 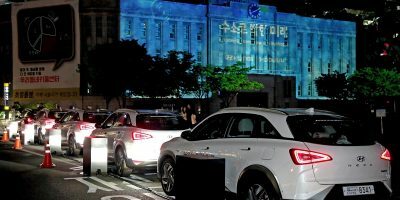 Samsung recently secured a license to start piloting self-driving technology in California and South Korea. In March it completed its $8Bn (£5.88Bn) acquisition of Harman, which it also plans to exploit in pursuing connected services for the automotive market. Also in Frankfurt Hyundai announced that it will launch an electric car sharing programme in metropolitan Amsterdam in early October. 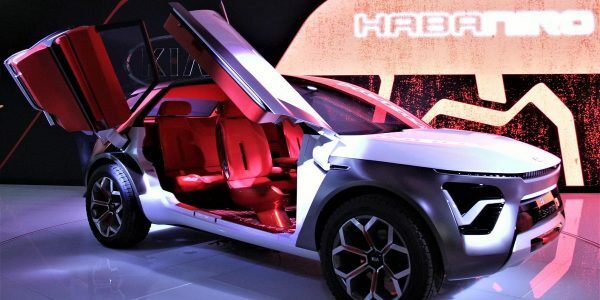 The carmaker was silent on much of the programme’s details but says it will consist of 100 Ioniq EVs that can travel 280 km on a single charge. Mercedes-Benz is switching up how drivers navigate in its updated infotainment system due out next year. The system will include a global addressing system called what3words that divides the world into 3m x 3m squares, each with a unique address made of three dictionary words. Drivers will thus be able to type or say three words to pinpoint an exact destination anywhere in the world, even if it doesn't have a street address, and receive turn-by-turn directions. SEAT will be the first car brand in Europe to integrate Amazon's Alexa voice service in its vehicles. The Alexa service will allow drivers to manage their personal schedule, find songs and locate points of interest, real-time news or the nearest dealership, to name a few of the capabilities. Alexa will be available in the Leon and Ateca models, and in the Ibiza, Arona and the large SUV in 2018. Audi has revealed that its new A8 will feature a conversational automotive assistant that listens, understands and responds to drivers.Nuance Communications’ Dragon Drive connected car platform will power the assistant, using a blend of cloud-based speech recognition, natural language understanding and text-to-speech. Drivers will be able to do everything from control their air conditioning to check on weather and POIs to choose songs. The assistant will be integrated into other Audi models in 2018. IBM announced that it’s partnering with ZF and UBS to bring Car eWallet to market. The solution allows autonomous vehicles to make secure, cashless, on-the-go payments for highway tolls, parking and electric charging without requiring any action from the owner. The platform is built on IBM Blockchain and delivered via IBM Cloud. On the cyber security front, IBM and Irdeto are partnering to offer carmakers real-time monitoring of their electronic control units. Attempts to modify or reverse engineer software on the ECU will be pinged by Irdeto’s Cloakware Secure Environment solution and sent via telemetry to IBM’s QRadar solution, which will keep carmakers up to speed on the situation in a dashboard format and advise them whether to address the attack with an automated response or a manual intervention. 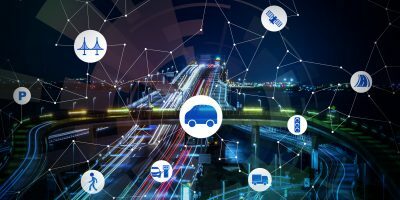 Tier 1 suppliers Honeywell and Lear are offering a more expansive solution that monitors the entire ecosystem of a connected vehicle, across all of its defined attack surfaces that can provide a point of entry to hackers. The solution will pair Honeywell’s intrusion detection technology software and security operations centres with Lear’s automotive electrical distribution systems and connected gateway expertise. Finally, TomTom announced a new service aimed at curbing range anxiety. The TomTom EV Service helps EV drivers make informed decisions about when and where to charge their vehicles by providing real-time availability for charging points, as well as other essential information such as opening hours, payment methods and plug types. The TomTom service will launch in Europe this year with expansion to North America in 2018.